St Albans, in Hertfordshire, is an ancient Roman town, located 25 miles to the north of London, well within the commuter belt of the capital. 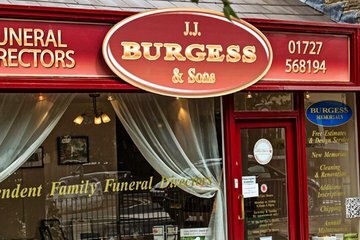 There are approximately nine funeral directors in St Albans and the surrounding area, five of which are within a five mile radius of the city centre. There are currently about 140,000 people living in the area with a wide variety of religious faiths represented, as well as a high percentage of those that are non religious. It is likely that many of the funerals directors in St Albans will have the experience necessary to provide clients with both religious and secular funeral arrangements. St Albans City and District Council operates three cemeteries: Hatfield Road Cemetery, London Road Cemetery in St Albans, and Westfield Road Cemetery in Harpenden, and it is responsible for the grounds maintenance of four discontinued churchyards in the local area. The joint council administered West Herts Crematorium, which is some six miles south of St Albans in Garston, Watford, has recently won the prestigious, nationwide Crematorium of the Year Award, which highlights excellent service and aims to raise standards and encourage choice for the bereaved. 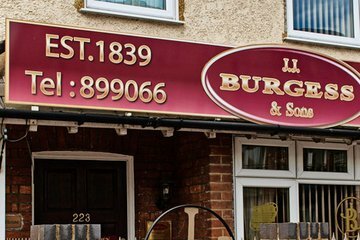 Search for local St Albans funeral directors now to see funeral homes near you. You can filter search results by best rated, most reviewed or nearest to you. Click on a funeral director’s listing to see their profile page, where you can read independent customer reviews, search for recent obituaries, and learn more about the funeral services they can offer to you.